Not equipped with the speed to catch the golden snitch? 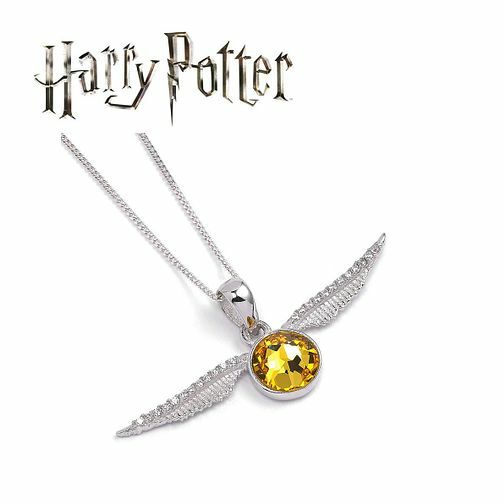 Not to worry, with this beautiful sterling silver necklace, embellished with Swarovski® crystals, the snitch can still be yours. Pair this beautiful necklace with your stylish daytime looks. Harry Potter Golden Snitch Necklace is rated 5.0 out of 5 by 10. Rated 5 out of 5 by Anonymous from Awesome! Purchased for my daughter who is a Harry Potter fanatic. Safe to say she is, ecstatic!